Michael had a large contingency of family and friends following him at Round 2 of the Farmers Insurance Open. By my count he had 18 people with direct connections: his wife Rachel, 4 cousins, 2 cousin's kids, 1 aunt, his team from Wednesday's pro-am, his caddie's wife and two kids along with her parents and aunt and uncle. After each birdie, hearty "Roll Tide"s were given out which were returned with a good smile each time. Unfortunately, there just weren't enough of those birdies to get Michael past the cut line. In the end he had 5 birdies and 3 bogeys to end at -2 for the day, +3 overall. Playing the north course in round 2, increased wind kept the scores higher. Missed fairways was the biggest factor for the day, as he putted better than the earlier round. He had some excellent approach shots to the green, one of which almost holed out from about 100 yards and was his best shot of the day. In the end it just wasn't meant to be though. Despite not making the cut, those of us who were there to watch had a great time. I definitely recommend you make it out to a tournament if you get a chance. Your next shot to do so is next week in Scottsdale, Arizona at the Waste Management Phoenix Open. Following a one week break after that, Michael will be playing at the Northern Trust Open at Riviera Country Club in Pacific Palisades. It would be a great opportunity for all of you Michael Thompson fans in the Los Angeles area (we know there's a bunch of you) to head out and watch him play. Michael Thompson's first round at the Farmer's Insurance Open started on the more difficult South Course at Torrey Pines. It's a course that Michael knows well, but an erratic driver, some unlucky bounces, and putts that lipped out all combined for a 5 over par 77 which leaves him in a tie for 147th. Tomorrow's second round will be on the North Course and Michael will need to go low in order to make the cut. Michael's second round starts from hole #1 of the North Course at 9:40 PST and he will once again be paired with Brendon de Jonge and Marco Dawson. I don't believe there is Shot Tracker data from the North Course this week so the Shot Tracker links might not be worth much but since we were out at the course I didn't have chance to check out the online links while they were live today. The PGA continues it's west coast swing this week at the Farmers Insurance Open at Torrey Pines. Located along the cliffs just north of La Jolla, Torrey Pines is one of the most picturesque golf courses on the Tour. Site of the 2008 US Open, where Michael Thompson finished as the low-amateur (T-29th), it also hosts the Farmers Insurance Open each year. We here at the Thompson Tide (all 2 of us) are excited because San Diego is our hometown and we hope to follow Michael each day of the tournament. Roz has already been on site and taken photos from practice rounds so we might be posting some of those as we go. You can check out our twitter feed to get updates throughout the day. Players will be playing once on the North and once on the South course before the usual cut to 70 players plus ties is done. Michael tees off from hole 10 of the South Course at 8:40 PST and will be paired with Brendon de Jonge and Marco Dawson. FYI: For those of you who use iPads, the PGA released a new PGA HD app today which you can use to follow the leaderboards and get the latest stats. It's worth checking out. 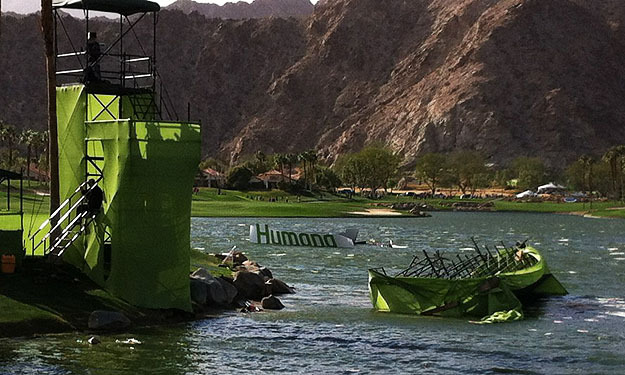 Michael Thompson fought through some tough holes and came away with yet another cut made, and a paycheck gained at the Humana Challenge. 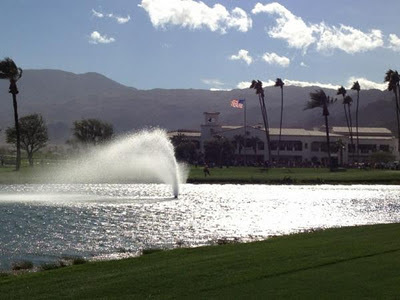 Completing the wind-delayed 3rd round this morning on the La Quinta Country Club course, he then moved on to the Palmer Course at PGA West and completed the 4th and final round. Hampered by a double bogey in each of the final two rounds which offset his numerous birdies, he finished round 3 at 3 under and the 4th round at even par, for an overall score of 9 under (T-54th). Ever since June of last year, he's been consistently making cuts which bodes well for what's to come in 2012. Earning $12,488, he moves to 24th on the money list and 25th on the FedEx Cup Points List. Next up is the Farmers Insurance Open from the ThompsonTide.com hometown of San Diego. Roz, myself, and assorted other Roberts' are all excited to go watch Michael play in person again. If any of you are there as well, make sure you stop by and say hi. You can probably guess which group we'll be following. The third round of the Humana Challenge was postponed due to high winds that moved through the Palm Springs area on Saturday. 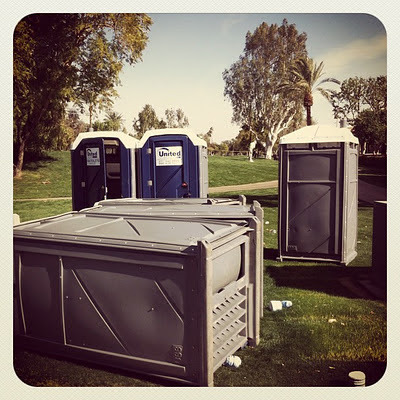 The area experienced sustained winds of 35mph and gusts to 50mph and all three courses experienced some sort of damage due to downed trees, hospitality tents being blown over, and even port-a-potties being upended. At the time play was suspended, Michael Thompson was on the green of hole #16 on the La Quinta course (his seventh hole of the round) with a birdie putt upcoming. He is currently 2 under par for the round and 8 under par for the tournament in a tie for 46th. The third round is scheduled to resume at 7:30am PT and is expected to be wrapped up some time between 10:00am and noon PT. Once the third round is concluded, the field will be cut to the top 70 golfers plus ties. In order to speed up play and try and finish the fourth round on Sunday, all amateurs' play has also been concluded. Note: There's no Shottracker on the La Quinta Country Club course. Photo by David Hearn via Twitter (@HearnDavid). Compare this to the photo from our post from yesterday below! Michael Thompson shot a five under par 67 and moved up the leaderboard 34 spaces into a tie for 62nd during the Humana Challenge's second round on Friday. He'll have one more round to improve his position before the cut is made at the top 70 golfers (and ties) after everyone gets a chance to play each of the three course being used this week. According to his wife's blog over at Thompson Squared On The PGA Tour (recommended reading for all the Michael Thompson fans out there), Michael had been trying out a new driver during Thursday's first round. He wasn't completely comfortable with the driver's increased stiffness, so he returned to using the driver he had used the previous week. Michael improved his first round score by four shots and his round included an eagle and five birdies. Michael's third round will tee off at 10:30 PST Saturday at the La Quinta Country Club. He will again be playing with PGA pro Briny Baird, but will be joined by a new group of amateur players: George McCrimlisk (owner of Accounting firm, George H. McCrimlisk & Company) as well as neurosurgeon Dr. Paul McCombs. Michael Thompson finished his first round at the Humana Challenge with a one under par 71 that has him currently tied for 96th. His round was highlighted by a streak of four birdies in a row on holes #13 through #16 on the Nicklaus Private course at PGA West. After the birdie streak, Michael was three under par. However, a bogey at hole #1 and a double bogey at hole #2 slowed the round down a bit. Michael carded a couple more birdies and one more bogey to finish the round of at -1. Unlike most PGA Tour events, there are two more round before the eventual cut because this event is played on three courses. 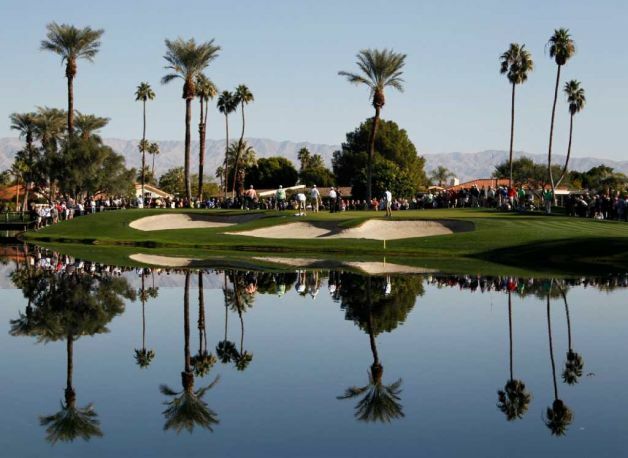 Each player will play each course once before the cut which will reduce the field for the fourth round which will be played at the Palmer Private course at PGA West. Michael's second round gets under way at 10:00am PST at the Palmer Private course at PGA West. Once again he'll be paired with Briny Baird. This time the two professionals will be playing with two executives from the health care industry Ken Melkus and Dave Colby. Televison coverage can be found on the Golf Channel from 3pm ET to 6pm ET. Shot link data will be available for this round since it is being played on the host course (Palmer Private). Besides playing on three courses, a unique aspect is that this is a pro-am event. Michael will be playing with Wesley Edens who co-founded Fortress Investment Group. Finishing off the foursome will be PGA pro Briny Baird and Deutsche Bank CEO Seth Waugh. Michael tees off from the 10th tee on the Nicklaus course at 9:30 PST. The tournament will be televised on the Golf Channel from 12:00-3:00pm PST. The "two" Michael Thompson's listed on the PGA Tour's webiste. NAME GAME: You've heard stories about players who take time off and move up in the world ranking. How about the case of Michael Thompson, who moved up 52 spots after not playing one week? It's a true story — although it's the product of confusion over his middle initial. Thompson was coming off a rookie season on the PGA Tour in which he finished 98th on the money list to easily retain his card. He played in the inaugural Thailand Golf Championship at the end of the year and finished third behind Lee Westwood and Charl Schwartzel. When he looked at the world ranking, he actually dropped two spots to No. 183. "I got back from Thailand and saw that I got no points," Thompson said. He called his agent, and before long the tour and world ranking board were involved. Thompson played his first PGA Tour-sanctioned event at the 2008 Masters, the year after he was runner-up in the U.S. Amateur. Because there already was a Michael Thompson in the ranking archives, he was assigned "X'' as his middle initial. This is a common practice. He played the Masters, U.S. Open and Traveler's Championship in 2008 as an amateur, and he tied for 28th in his pro debut that fall in the Texas Open. When he earned his card, the tour entered him in the system using his proper initial — "H'' for Hayes. But the Michael X. Thompson remained in the system and was awarded the 12.8 points for a third-place finish at Thailand that should have gone to Michael H. Thompson. There was no golf played the following week, but in the final world ranking of 2011, the points were restored, and Michael H. Thompson had gone from No. 183 to No. 131. And just to follow up on the "Michael X. Thompson" identity, the PGA Tour website has two Michael Thompson's listed. One has his correct career statistics and one has all of the associated video and media that has been collected by the PGA over the years. You can see the comparison of the two pages in the photo at the top of this post. Not only was Michael Thompson promoted to Yahoo! 's B list of players, he's currently tied for the second most productive player on the list. Michael Thompson's performance on the golf course is starting to get noticed by the fantasy golf geeks. Before you fantasy golf geeks send me a bunch of hate mail - I've got a fantasy golf team on Yahoo! too so just go ahead and admit it - we're geeks. Michael Thompson One of the TOUR's most underrated putters. Finished T6 at Waialae and ranked fifth in Strokes Gained-Putting and T2 in birdies. (Also had an eagle.) Three top-six finishes worldwide dating back to a solo third at The McGladrey Classic. Now just because Rob Bolton hasn't had Michael in his Power Rankings column before doesn't mean Michael's been off his radar screen. Last year he predicted Michael would finish inside the top 125 (which he did) and he had him ranked #74 before the year started ahead of some very good golfers in his 2012 Fantasy Cheat Sheet. Up until now the positive press hasn't translated to a lot of people picking Michael on their Fantasy teams. Last week Michael was on less than 1% of the fantasy teams on Yahoo!. Unfortunately for those of us who've been using Michael to sneak up on everyone who hasn't been following his career, I think the secret might be out of the bag. I guess the Crimson Tide was flowing today. I think I made two putts over 35 feet and that's really rare to happen on these greens. It's fun to watch that ball disappear. My buddies back in Alabama, they know me for a good putter and I'm sure they are not going to be very surprised. But you know, it was just a fun day and great to be out here in Hawaii, Sony has been great and [this is a] good start to the year. Michael is a master at understatement. A top 10 finish out of the gate at an event that he didn't even make the cut at last year is a phenomenal start to the 2012 PGA Tour season. As the tour heads into its West Coast Swing, Michael will be looking "to ride the wave, keep on going and see what happens." The ride he's been on includes top 6 or better finishes in three of his last four events dating back to the McGladrey Classic at the end of the 2011 PGA Tour season. 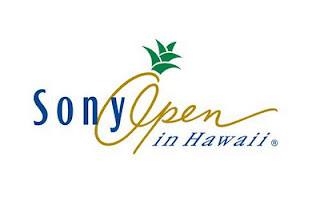 HONOLULU — Michael Thompson came to the Sony Open in Hawaii with few expectations. His practice time prior to leaving for Hawaii had been curtailed — first because of an illness, then because of unusually cold weather in his hometown of Birmingham. Even when he got here, he didn’t feel comfortable with the practice range at Waialae. "I really just wanted to play and get the rust off my game," he said. He did more than that. After posting even-par 70 on the first day, the former University of Alabama star found his rhythm on the second day, shooting a 65 and then shot 68-67 on the weekend to give him a top-10 finish at 10 under for the third time since joining the PGA TOUR last year. "Anytime you reach double digits under par out here on the PGA TOUR, something to be said for that," Thompson said. "Going to ride the wave, keep on going and see what happens." Thompson made four putts outside 10 feet on Sunday, including a 42-footer for birdie at the 11th hole and a 34-footer at the 13th hole. For the day, he made 142 feet of putts, second most behind John Rollins’ 144 feet. "I made two putts over 35 feet and that’s really rare to happen on these greens," he said. "And you know, it’s just special. It’s fun to watch that ball disappear." Thompson ever so briefly held a share of the lead. He was 11 under with two holes to play but bogeyed the par-3 17th when his tee shot got caught in the wind and bounced into the bunker. He failed to birdie the par-5 18th after his 10-foot putt took the grain and pulled away from the hole at the last roll. Still, it was a good start to the season for the second-year man. "It was great being in the hunt," he said. "My goal this year is to put myself in contention as many times as I can. To do it on the first tournament is a little out of the ordinary for me." Saturday is known as moving day for professional golfers. It's the day you can either move up the leaderboard into contention or fall down the leaderboard resulting in an early Sunday tee time. For Michael Thompson, his third round at the Sony Open resulted in the slightest of moves from a tie for 17th to a tie for 19th. Michael shot a two under par 68 which leaves him at 7 under par for the tournament and just five shots off the lead. Michael's third round included five birdies and 3 bogeys. 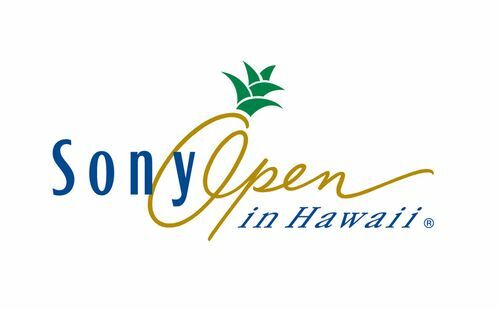 Michael's fourth round will get underway at 11:17am Hawaii time when he tees off with Billy Mayfair. The fourth round will be aired on the Golf Channel from 7pm ET to 10:00pm ET. As usual, we've got all the live scoring links you'll need to follow Michael's round right here! It's been quite a week for the Alabama Crimson Tide. On Monday, the Tide captured their second BCS Championship in two years by dominating LSU en route to a 21-0 victory. On Tuesday, the men's basketball team beat LSU 69-53. Today, the two most recent UA alums on the PGA tour made the cut at the Sony Open when Bud Cauley finished his first 36 holes at 6 under par (T7) and Michael Thompson finished his at 5 under par (T17). Michael had quite an adventurous second round. He had one eagle, seven birdies, and four bogeys to ultimately card a five under par 65. At two different points he reached six under par as he steadily climbed the leader board throughout the day. He capped off a four under par front nine with an eagle on the ninth hole - his first of the 2012 PGA Tour season. His back nine was more up and down as he had four birdies and three bogeys. Michael's third round will get underway at 11:42am Hawaii time with Will Claxton. The third round will be aired on the Golf Channel from 7pm ET to 10:30pm ET and will be rebroadcast at 11pm ET. 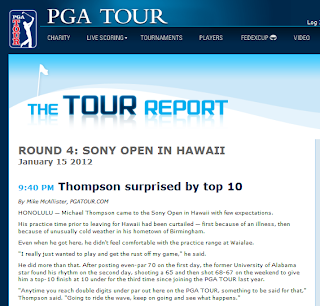 After the first round of the Sony Open last year, Michael Thompson was being mentioned in AP articles. Unfortunately, the notoriety was for shooting the first 80 on the PGA Tour for 2011. This year, Michael improved on that score by 10 shots as he shot an even par 70. After his first nine holes, Michael was sitting at two over par having two bogeys and no birdies on holes 10 through 18. But things were about to turn around on hole #1, a difficult par 4 that ranks as the most difficult hole on the course. For the first three shots things did not look promising. Each of his first three shots landed in the rough. He was sitting 29 yards from the hole in the rough right of the green looking squarely at a bogey or worse. Michael made the improbable par save and then went on to shoot 2 under par on holes 1 through 9 including birdies on #6 and #9. The 70 was good enough for a tie for 64th after the first round and it puts Michael in a position to make the cut. Michael's second round will get underway at 8:10am Hawaii time from the first tee at the Waialae Country Club. Once again, he'll be playing with Joe Ogilvie and Gavin Coles. The Golf Channel will be covering the Sony Open this week. Friday's first round coverage is on from 7pm ET to 10:30pm ET. and will be rebroadcast at 11pm ET. 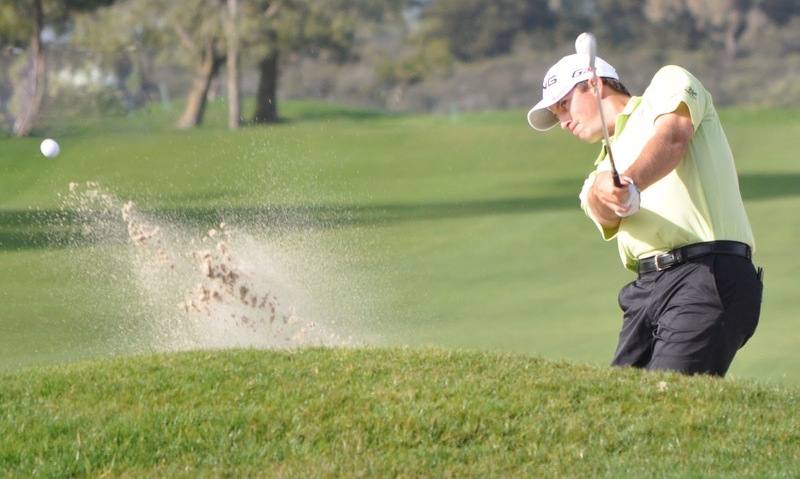 Michael Thompson gets his sophomore season on the PGA Tour underway tomorrow at the Sony Open in Honolulu, Hawaii. Michael will be looking to carry over his momentum from last month's third place finish at the Thailand Golf Championship into the early part of the 2012 season. As a Tour veteran, Michael will be able to have much more control over his playing schedule. Last year, as a rookie, Michael was subject to the dreaded re-shuffle list which basically meant he'd have to perform well to earn starts. This year, his higher priority status means that he'll be able to play in most of the PGA Tour events he wants to. Michael's early schedule will include starts at the Sony Open, the Humana Challenge, the Farmer's Insurance Open, and the Waste Management Phoenix Open. This week's Sony Open is being played at the Waialae Country Club in Honolulu. Windy conditions are typical for this event and the wind typically blows cross-course. 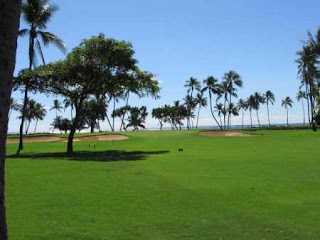 The course favors accuracy off the tee rather than distance because the greens are small and the course is lined by numerous palm trees. 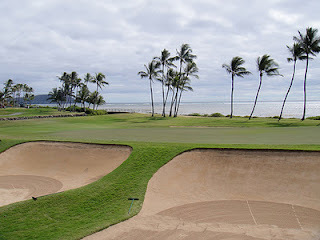 Michael's first round of 2012 will get underway at 12:40pm Hawaii time from the tenth tee at the Waialae Country Club. He'll be playing with Joe Ogilvie and Gavin Coles. 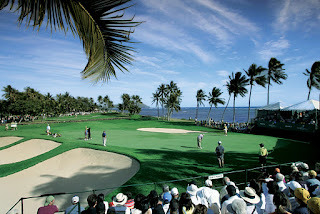 The Golf Channel will be covering the Sony Open this week. Thursday's first round coverage is on from 7pm ET to 10:30pm ET. and will be rebroadcast at 11pm ET.